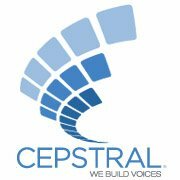 Cepstral Community • View topic - I am trying to find an old sound file. I first got Amy back in 2005 after hearing a demo sound file of her at Nextup dot com. That was Amy version 3.x. The file demonstrated how Amy could talk: slower, faster, higher and lower, and told how she was SAPI 5 compliant. When Amy version 4.x came along, Nextup put a different demo up which showed how Amy sounded reading a news story, and gone was that old sound file. I have asked Nextup about that old sound file, and they didn't know what I was talking about and sayd to ask Cepstral. I think that Cepstral had nothing to do with what Next Up put up in order to demonstrate the voices that they sold. I would like to find that old sound file, so I can compare it with how Amy sounds today. Does anyone know what ever became of that old demo? If I remember right, it came in all 3 formats: WAV WMA and MP3. Re: I am trying to find an old sound file. Unfortunately no one here knows anything about it either. We don't really keep track of what NextUp does with their website.